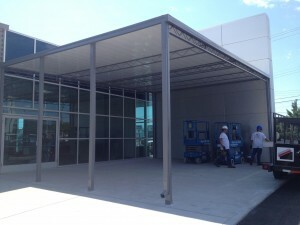 Aluminum canopies are functional, suitable for all environments, and do not have to be expensive. Our canopies are used in schools, churches, affixed buildings and wherever pedestrian or automotive shelter is needed. 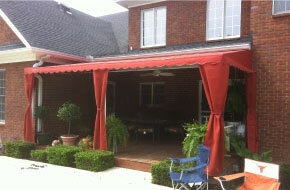 Awnings and Canopies over Tennessee offers extruded or roll formed aluminum canopies supported by extruded aluminum beams and post, or steel support systems. Mutable colors available. 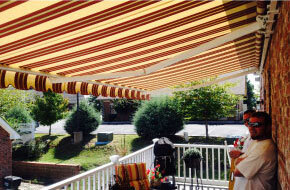 All awnings and canopies offer a 15 – 20 degree difference in temperature. Years of worry free enjoyment. 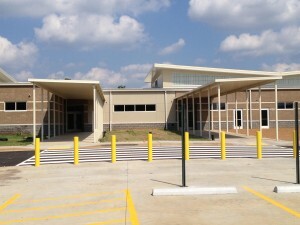 School bus stop covers and canopies. 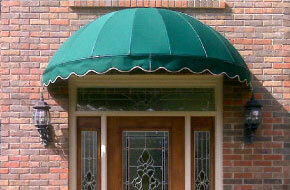 Manufacture plant covers and canopies. Parking lot carports and canopies.